A-HOTEL.com - Luxury and cheap accommodation in Mel'tsany, Russia. Prices and hotel, apartment booking in Mel'tsany and surrounding. Situated in Saransk, 7 km from Mordovia Arena, Hotel Complex Mikhailovsky features a shared lounge. The property is around 6 km from Saransk Bus Station and 7 km from Sobornaya Square. Featuring free WiFi and a shared lounge, Hostel Fresco is set in Saransk, 3.2 km from Mordovia Arena. 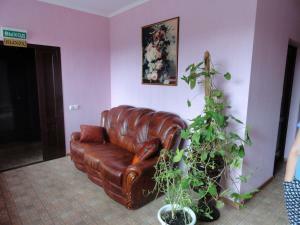 Located in Saransk, Apartment on Polezhayeva offers free WiFi. This apartment comes with a washing machine, sofa and flat-screen TV. Apartment on Proletarskaya offers self-catering accommodation in Saransk, next to a public park area. Free WiFi access is available. Apartment Polezhaeva is located in Saransk, 2.6 km from Mordovia Arena, 1. Квартира с полным набором для проживания offers accommodation in Saransk, 2.6 km from Mordovia Arena and 1.